There are a bunch of ways to take care of mice, with traps being one of the best options. I’m here to tell you how to choose the best bait for mouse traps and how to bait a mouse trap for the three types of traps commonly used: snap traps, glue traps and electrical traps. Each trap does better with certain baits and each trap needs to be baited a little differently. There isn’t one single bait that is the best over everything else because each trap needs a different type of bait; so you won’t find one single answer. However, you will find a list of tried and true best baits for mouse traps that will get you better than average results. Choosing the best mouse trap baits is pretty straight forward, but there are some tips and tricks that have been suggested by the pros, as well as people that have tried them. These guys are smart. They are fast. And they can hide in plain sight almost anywhere in your home. It is important to learn the enemy and make sure the war is quick and effective. Most professionals suggest these baits for any type of trap. Each one of these baits has some very important qualities in common. Professionals say that the best bait for mouse trap should be high in protein, sweet, and extremely pungent. The aroma does not have to be foul, but it does need to be strong. Strong cheeses, peanut butter and syrup are some of the best food for mouse traps because they have the strongest smells. 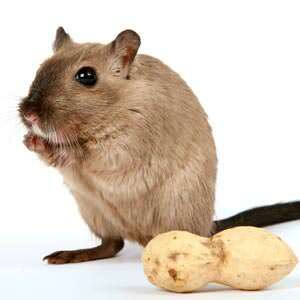 If you take the time to learn what mice like to eat, you can easily determine what would make a good bait. Mice love peanut butter. Spread a thin layer on the trigger for the best results. Bacon grease and bacon bits are also good suggestions for the smell that they put off. Some even believe that making your own bacon bits are more effective that store bought ones. At least when using your own bacon your home will smell delicious to you and the mice. This allows the mouse to detect it where ever they have decided to set up shop in your home. When the mouse trap bait is easy for the mouse to find, you have successfully completed the first step in catching it. People that have used mouse traps in the past also suggest choosing bait that is fairly sticky. Although, most snap traps have spikes to place a solid piece of bait, they suggest that the stickier the better. Solid pieces of cheese or pet food would not be effective choices for a snap trap. These foods are too easy to steal off the trap without triggering the snapping mechanism. When using a traditional snap trap, sticky foods are the best. This forces the mouse to pull and tug on the bait, therefore triggering it to snap closed. Many are very impressed with peanut butter. 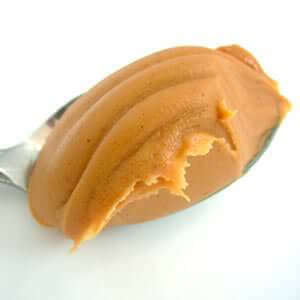 One of the main problems with peanut butter, or any other sticky bait, is using too much. The mouse can easily lick most of the bait off and never trip the trap. So the trick is to use a thin layer. You might be thinking using a thin layer won’t work, but I promise you it works better with a thin layer. There has even been some cases where gum was used successfully. It may sound a little gross, but chewing the gum for a couple of seconds and then placing it on the trap, gives very sugary, very fragrant and very sticky bait. The mouse would be able to lick it, but would have to pull to get the bait to leave the trap. This should trip the snapping mechanism every time. While can use peanut butter for glue traps, whole peanuts also work great. Glue traps have been around for years and although they are the least humane of the traps, they are still a preferred method for some because they have no mess to deal with after the mouse is caught. Yes, there are some mouse baits that are best for this trap as well. Many have reported great success with bird seed. In order to be effective, you must press the seeds or nuts into the glue. Peanuts will also work and so will chocolate candy bars. Another good option to try is dog food. Again, mice are crafty and smart. They even share tips among their families, so pressing the bait into the glue makes it nearly impossible to steal off the trap without getting stuck. Glue traps and their baits are pretty straight forward, as long as the bait is firmly attached to the glue. For more tips about getting the most out of glue traps, go here. Electrical traps are a little more high tech compared to other traps; yet they’re even easier to use. They can simply close the trap door shut when the mouse completes the circuit, or they can kill it with a high voltage shock. However, like other traps, there is an art to using the proper bait for this trap. When choosing the best mouse trap bait for this method, you must consider that the bait is inside of a compartment. Therefore, the best mouse bait for electrical traps need to be especially smelly and it must offer irresistible temptation for the mouse. The good old peanut butter should be strong enough. Otherwise, you can also use some bacon bits made by you that same day; by that I mean real bacon and no some cheap imitation. If you don’t feel like feeding them bacon, something sweet like a candy a Snickers candy bar should catch their attention. Whatever you use, make sure to place the bait all the way to the back of the trap, so it cannot be stolen without closing the door. While there are many mouse trap baits to use, there are benefits to using each one. There is no way of knowing which one is the absolute best choice, because each trap has different needs. Keep this in mind when choosing which bait will work best. Here is a quick recap of what will work best for each type of trap. Electrical traps need small, pungent bait placed at the very back of the traps. Research is the key to catching any mouse. Knowing how they behave and what they like will give you a better chance of getting rid of them. Although this article provides a great variety of tried and true, best bait for mouse traps, each situation is different. Each mouse is different. Keep this in mind when remedying your mouse problem and when one type of bait does not work, try, try, try again until you figure out what is best for you and your mouse. Good luck and happy hunting!